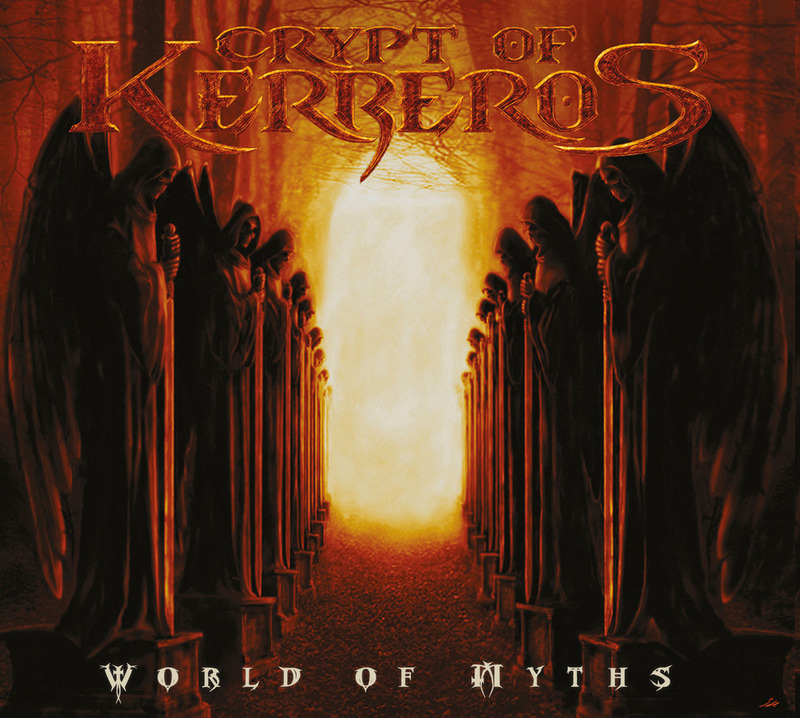 An interesting mix of genres could be heard on "World of Myths" by Crypt of Kerberos, that lateley was more known as a progressive metal band. Their debut was different from ordinary death/doom, because it's more like an unusual approach of their late style. In general it's an intense album filled with diversive themes. The slow downs are common though, but these are not to express the heaviness of their music, but only subordinated to the intense themes that could be heard in the followings. The album starts with typically '80s heavy metal melodies, than it sounds like changing to some blackened death, but before it could be diagnosed, it continues as death/doom, and changing to heavy metal again. This constant changing continues during the whole album in arbitrary order. Slowly as the progressive elements are getting revealed, it's getting clear that these having the main role, and the whole aggregation of contrasts are serving nothing else, but progression. 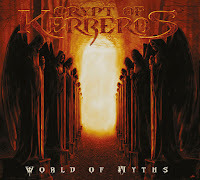 Ths was everything but usual that time, and Crypt of Kerberos was one of the earliest heralds of similar musical experiments.